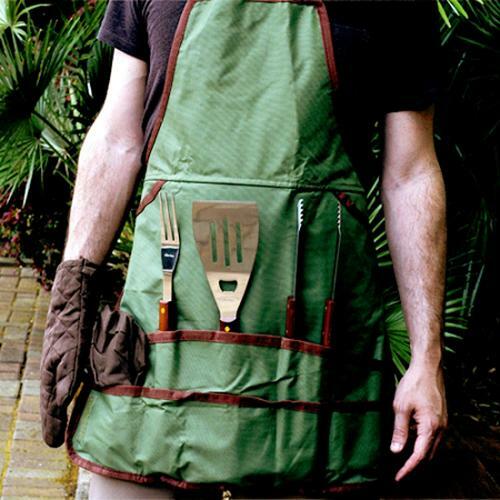 This BBQ Apron is perfect for the grill master in all of us. 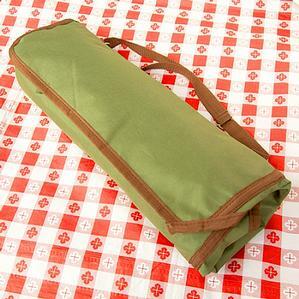 Made of durable 600D polyester canvas, this unique, practical shoulder tote is great for picnics or holidays spent outdoors. 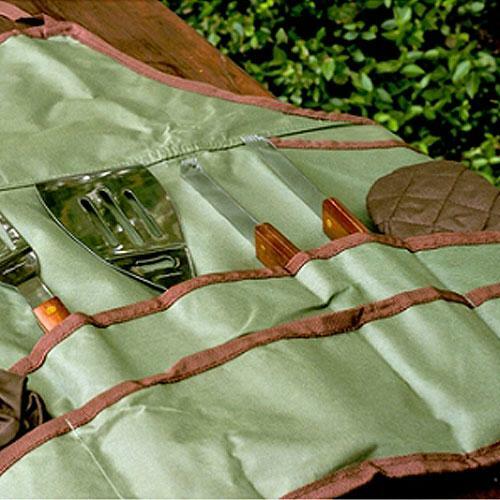 The tote unfolds to become an apron complete with a deluxe BBQ set that includes a spatula, tongs, fork, apron and a BBQ mitt. A great gift idea! 1. How do I care for my Personalized Apron? To keep your leather apron clean, remove small, dry stains by rubbing gently with a clean pencil eraser. Small stains that are still wet should be blotted up by putting a paper towel on it. If needed, treat larger stains with a vinegar-dampened cloth. Do not wring out your apron as this will misshapen them. 2. What size are the Aprons?